Celebrating Five Years of Improving Community Health. The opioid epidemic is one of the nation’s most acute crises, as deaths from opioid overdoses in the US have increased by 400 percent since 2000. In collaboration with the Boston Healthcare for the Homeless Program, the Boston Public Health Commission, the Hearst Foundation, GE Foundation and Ford Motors, the Kraft Center will pilot a mobile addiction and primary care van, which will provide on-demand treatment in two hotspots in Boston. The mobile van will aim to stabilize individuals, initiate and continue treatment and link them with long term, community-based care. The goal is for the mobile van to become a model with the potential to scale up in a range of ways in the Boston area, across Massachusetts and nationally. In the communities where the Kraft Center focuses its work, there are significant cancer-related inequities in diagnosis, treatment and mortality, among traditionally marginalized populations including: those who are homeless, have a mental illness, live in poverty or belong to a racial or ethnic minority. The significance of these inequities creates an urgency to find new, out-of-the-box solutions. In 2018, The Center will host an Innovation Summit to “crowd source” ideas and new perspectives to improve cancer care quality and equity throughout Massachusetts. The Kraft Center will announce a request for multi-sector teams that will purpose “solutions prototypes” for cancer care equity and pilot the best ideas with the goal of finding solutions to scale. 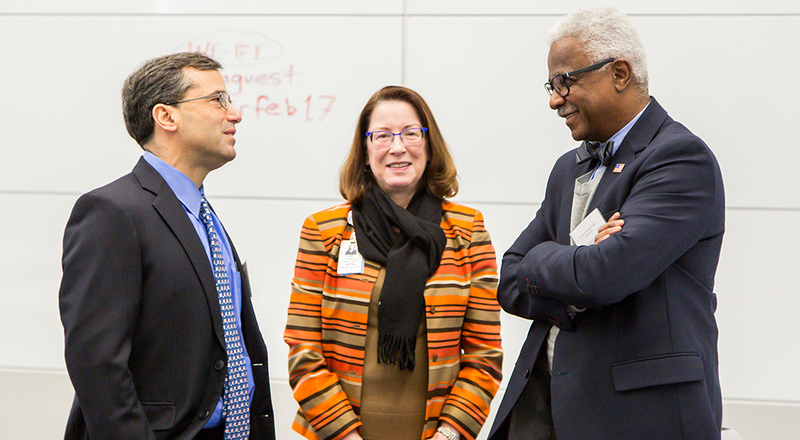 Building upon the network of the Kraft Center alumni established during The Center’s first five years, and the network of community health centers across Massachusetts, the Kraft Center launched the Primary Care Leadership Program in summer 2017. This six-week program provides training for underrepresented minority medical, nursing and physician assistant students in community health. Developed in partnership with the GE Foundation, the National Medical Foundation and the Mass League of Community Health Centers, participants are assigned to community health centers across Massachusetts. Trainees experience the challenges and rewards of primary care practice in community settings, and are encouraged to pursue careers providing primary care to underserved populations. The goal will be to lead innovation in community health, identify and pilot creative solutions to real world community health problems, and then make the best programs scalable and ready to spread nationally.